Often we have to choose, protect personal data or exchange them for a service, and it seems that this is the natural state of things – nothing like that. Technologies are developing, and, perhaps, with the help of the blockchain, we will be able to immediately get everything: both control over our data, and the opportunity to see and do what we want, while remaining safe. 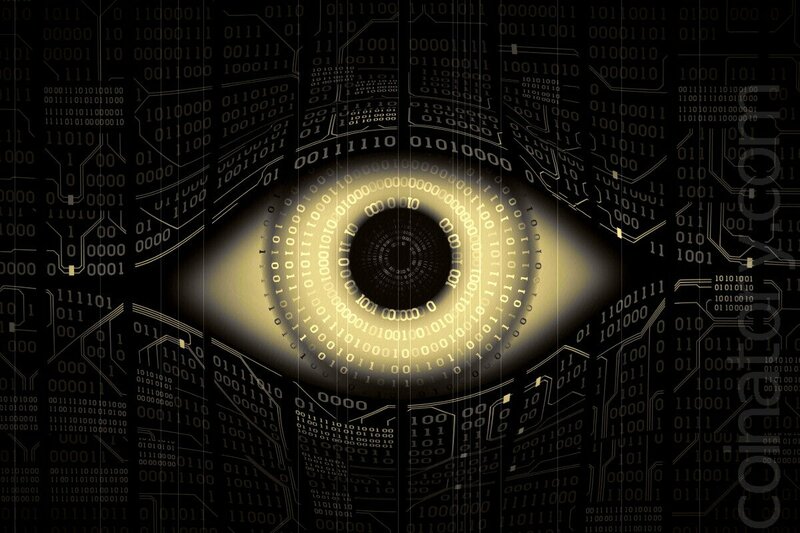 Here are six crypto projects that try to bring such a future closer – free from Big Brother. This is a real enemy of the Big Brother in the face of state and corporate supervision of everyone and everything. Promether is a set of open source tools that allows anyone to create scalable web applications, be they social networks or financial services. The privacy system of such services is transparent to the user, and if he is satisfied with the level of security and anonymity, he rewards developers with the help of an economic mechanism built on tokens – so there are mutually beneficial relationships. Promether solves the following problem: the creation of any large-scale system requires a lot of resources, which creates an asymmetry between the people who run the system and the average user – the former have much more power. Promether allows you to separate the security and scalability functions from the application itself, so it does not require the user to have unlimited confidence in the developer. All applications are distributed in Promether, and storage capacity and throughput are provided by network users who provide resources in exchange for the PYRO token. Thus, a truly decentralized network structure is created, in which no one has an excess of power that can be abused. Most of the existing blockchains are scalable and decentralized due to their architecture, but the situation with the control over personal data can be very different. In most cases, the records of the blockchain are public and the transactions are pseudo-anonymous, that is, the identity of the participant is replaced by a certain code, but there are ways to link this code to the person, after which you can trace the history and future transactions of the corresponding tokens and all user actions. For this anonymity, you need a mechanism that deliberately “confuses” the connections between transactions and users, and this is exactly what Enigma provides. Using the “secret contract” system developed by the Massachusetts Institute of Technology by one of the founders, the input data of the contract is divided between many nodes and only then reach one node where they are executed, and thus the nodes do not know where the processed data came from. Enigma hopes to become a platform for a variety of decentralized applications, united by one – concern for the privacy of users. One of the main problems of centralization is the possibility of censorship. And this is not only the cases when no one wants to provide hosting for obviously illegal content – companies often delete content due to overly aggressive and poorly thought out policy on copyright protection, or simply because some material does not fit into the image of the brand, which they want to form in the eyes of the consumer. And this we are still talking about a democratic society where the government does not pressure companies, forcing them to suppress dissent. Substratum offers a decentralized network solution for storing and distributing any data without censorship. Any user who has extra space can offer it to others, and, conversely, the user who needs to store the data can pay for this place with the Substrate and Atom tokens (similar to dollars and cents). Access to content stored in the network Substratum, you can get from any browser. Today the network is at an early stage of open beta testing. Elastos is also a project to create a decentralized network, but here the idea is different: users do not receive content from web pages; each “site” in the Elastos network is a separate application. Like the Java code, decentralized applications run locally on the user’s computer – the Elastos environment runs on top of any operating system. This approach allows Elastos to overcome the problem of slowness of applications, completely tied to the blockchain. Due to local execution, speed is achieved, and by keeping the code in a distributed system, the security and stability of decentralized applications are achieved. In July, DID, the decentralized identifier Elastos was launched, so you can already experiment with it. In August, it is planned to partially open the project code, and specialists will be able to learn from inside how the system works. SelfKey is focused on protecting a person from possible violence. You register the documents identifying you with SelfKey Identity Wallet, certifying them with the help of an authorized organization. For example, you will take the passport to the state institution, there they will check it and bring the results of the check into the SelfKey wallet. When the check is completed, the original passport is no longer needed – when you need to present it, the user can use the SelfKey wallet, with which you can, in particular, sign the contents of the transaction so that no one else can read it. In addition, the SelfKey protocol allows the user to verify that he has the latest identification information without showing a “digital passport”, which creates even more possibilities for fine-tuning his data. It is important that the original passport can no longer be shown to anyone – neither to business nor even to government officials. No one sees your passport, all receive only data that indicates that your documents have been verified. Thus, even if the organization with which you interacted is not trustworthy (or becomes a victim of hacking), it’s not scary, because it does not have data that could be used against you. In a world where your documents were only seen by you and the body that issued them, the theft of personal data becomes almost impossible. Even if you do not fear that the contractor abuses your data, it’s nice to have a completely new level of control. Now you decide how in different circumstances your personal information is used. This article won’t be worth writing without mentioning Monero – this is one of the most famous blockchains, and it was designed to solve the privacy problems inherent in bitcoin. Yes, bitcoin was created as a decentralized currency, but everyone, including government agencies, can read the public blockchain, in which any movement of funds is recorded, and even identify the person who conducts a particular operation. In Monero, there is a built-in system of “mixing” transactions, so all actions remain anonymous. Imagine that we have a group of people, each of whom laid out on the table the contents of the wallet. Next, all the bills are mixed, and each takes from the pile the amount belonging to him. It turns out that it is impossible to know from whom and to whom the money went, so the third party, watching the transactions, can not track the sender and the addressee. Now imagine, that you don’t even know who was in that group of people or even the amount of people involved in this exact transaction. Now imagine, that you know only one thing – the number of transactions was a bit less than the number that you know. This is the level of privacy that Monero provides. Thus, Monero is truly anonymous currency, protected from the interest of government bodies and any other organizations.